For a large number of young children in Alchaniomelock school district, attending kindergarten is simply not feasible. Their walk to kindergarten would be miles uphill and alone through brush that could hide dangerous animals, such as buffalo and hyenas. 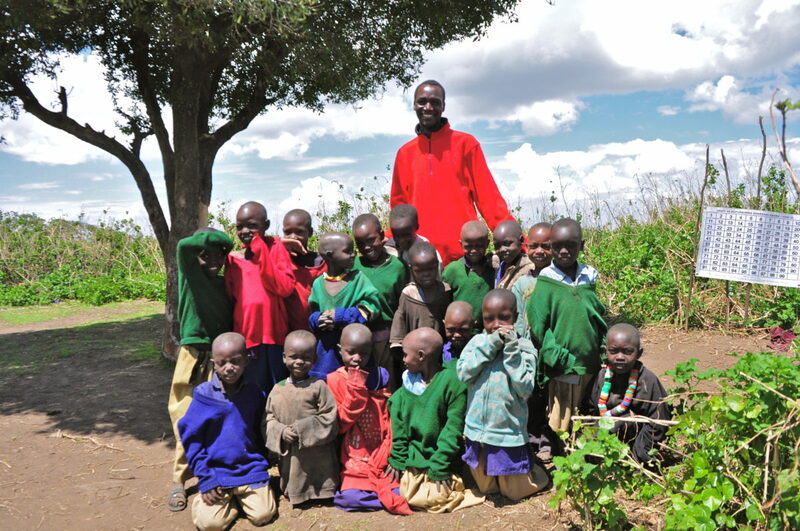 So, instead of getting an education, these young Maasai have until recently stayed home. Despite poverty and little outside support, villagers in Ngorongoro are still required to send children to school in uniform. Neither the government nor aid organizations were planning to address this problem. The school district’s head teacher, however, was not okay with them missing out on kindergarten. In order to provide early education in a part of the world where it is crucial to future success, Lepilal Lesineti started five satellite kindergartens throughout the village and its surrounds at the end of 2016. This was an independent initiative, solely for the benefit of local children. Lesineti and several volunteer teachers lead classes under trees or alongside huts in locations that are more accessible for students on the outskirts. One point, for example, sits under the shade of large branches on a high hill, overlooking a valley below. The children sing songs, count numbers and go over other fundamentals. Though classroom is a simple one, with an easel and numbers chart or chalkboard, children are learning basics concepts and also basic Swahili, which they will need the following year. This means they will enter primary school at the same level as their peers, much more prepared to be students. 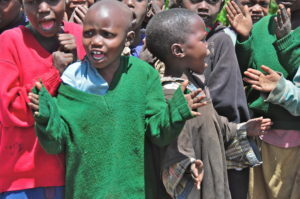 “Asubuhi mapema, tunasafisha meno yetu,” children sing in kindergarten, describing their daily routine including getting up early and brushing their teeth. These unconventional classrooms are very important for Alchaniomelock for several reasons. Local people taking initiative in the education and progress of the children of their village will lead to longer-term growth and development for the area as a whole. Local adults who are willing to volunteer are proactively doing what they can to improve life in the village now and into the future. In order to support this initiative and help it continue, we’d like to offer compensation to the volunteers running this project. Donate toward this end and help these children get the education they deserve here.